I am so excited to be sharing a new book by a local author- Brina Courtney! I would love to know if any of my readers has read the Cryptid Tales series- and if you haven't, the author is offering up the first book for free! Betrayal leaves nasty scars. A soul departs. Love must conquer all, or be lost forever. Shay's life has once again fallen into mystery as she discovers her father's whereabouts. On a mission to locate him and bring him home she learns more about who to trust than she thought possible. Her group of cryptids will be forced to rise again and defeat their common enemy, but they will also discover another hidden threat. As their queen, Shay's discoveries in Settle, the final installment of the Cryptid Tales series, will shake the cryptid world forever. 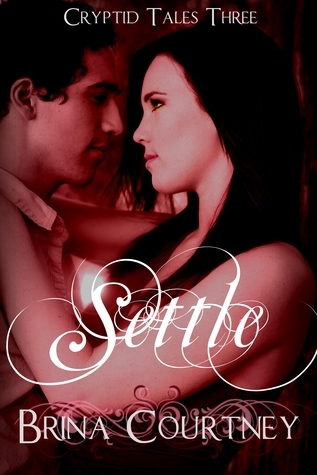 The author will be hosting a Settle Release Party on April 4th from 9-10pm to celebrate her new book! Click below to join in on the fun! Shay could be the key to ending a war that humans don't know exist. Of a race of beings that aren't real, or are they? Shay Tafford's childhood has been fatherless, filled instead with memories of speaking to the dead. She is forced to hide her unique ability from those living around her. That's why it's been comforting to have Jeremy, a child ghost, as her confidante. But recently he's been absent, perhaps lost as her father is. When Shay meets Hugh, the guy she's had a crush on for weeks, and finds he can speak to ghosts too she's just starting to find a normalcy in her life. But as Hugh reveals the truth to Shay, about who she really is and about what it is she can do, he erases all chances she had at a normal existence. Turns out talking to ghosts is just scratching the surface of her genetically engineered gifts. Shay learns she may be part of an age old prophecy that could save the entire race of cryptids. But can she? 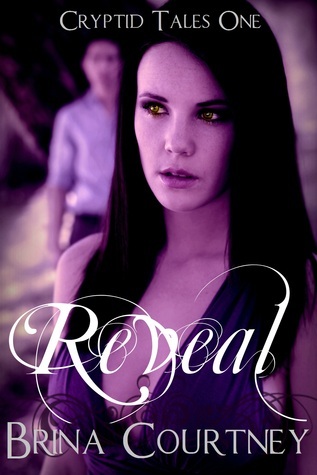 Want a free copy of Reveal? Use the links below to snag your copy! Brina Courtney is a young adult author obsessed with chocolate, crime shows, and fantasy movies. She's spent the last few years as a beauty queen and elementary teacher. She lives in a small town in Pennsylvania with her husband and two very loud, small dogs.